Examples of places offering riding lessons in Delaware. This is a family-owned training facility on a 10-acre farm in Middletown, Delaware. Horseback riding classes for riders of all ages, and from beginner to advanced. Grass riding ring that can be lighted at night. Family-owned training facility on 60+ private acres in Townsend, Delaware, not far from Blackbird State Park. 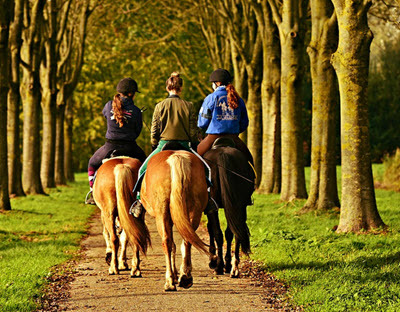 Examples of available riding lesson types are Beginner, All Around, Trail Riding, English Pleasure, Dressage, Jumping, and Hunter. The Sunshine Mini Ranch focuses on small horses. Therefore, riding classes are only available for children up to 11 years of age. There is one group for 4-7 year olds and another one for 8-11 year olds. Chose between 60 minute and 90 minute classes. Examples of available riding lesson types are Youth, Jumping, Western Pleasure, Trail Riding, Natural Horsemanship, Halter, and Barrel Racing. Located in Laurel, Delaware, the Rockin 66 is renowed for barrel racing and pole bending. The farm is located at the southern end of Trap Pond State Park, and have access to many excellent trails. Examples of available class types: Beginner, All Around, Barrel racing, Pole Bending, Gaming, Dressage, Hunting, Trail Riding, Beach Riding, Western Riding, Horsehandling on the ground (grooming, leading, trailoring, etc). Private farm in Dover, Delaware, not far from Blackbird Forest and Fair Hill. Good access to trails. Lessons available from beginner to advanced. Examples of available riding lesson types: English Pleasure, Western Pleasure, Trail Riding, All Around, Jumping, Show. Paintaloosa Farm is foundin Laurel, Delaware. They specialize in Appaloosas, Paints and Miniatures. Riding lessons available from beginner level. Examples of available lesson types: English Pleasure, Western Pleasure, All Around, Equation, Halter, Long Line, Trail Riding, Hunter under saddle. This 75 acre farm is located in Middletown, Delaware. It is a large equestrian center with 36 stalls, flat riding arena, large jumping arena, and more. Their primary horsebreeds are Thoroughbred, Pony, Draft, and Appaloosa. This is a family-oriented facility located in Frankford, Delaware. 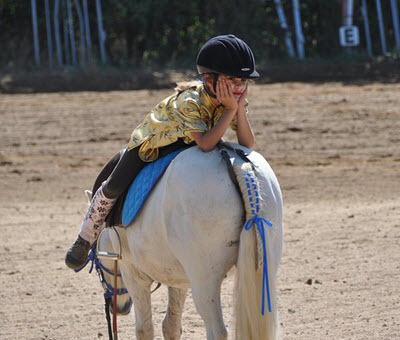 In addition to riding lessons, they also arrange pony rides, birthday parties, and camps. Riding lessons are available from beginner level. Located in Lewes, Delaware. In addition to riding lessons, Winswept Stables also arranges summer camps. Riding lessons available from beginner to advanced. Located in Seaford, Sussex County, Delaware. Riding lessons for children and adults, from beginner to advanced.